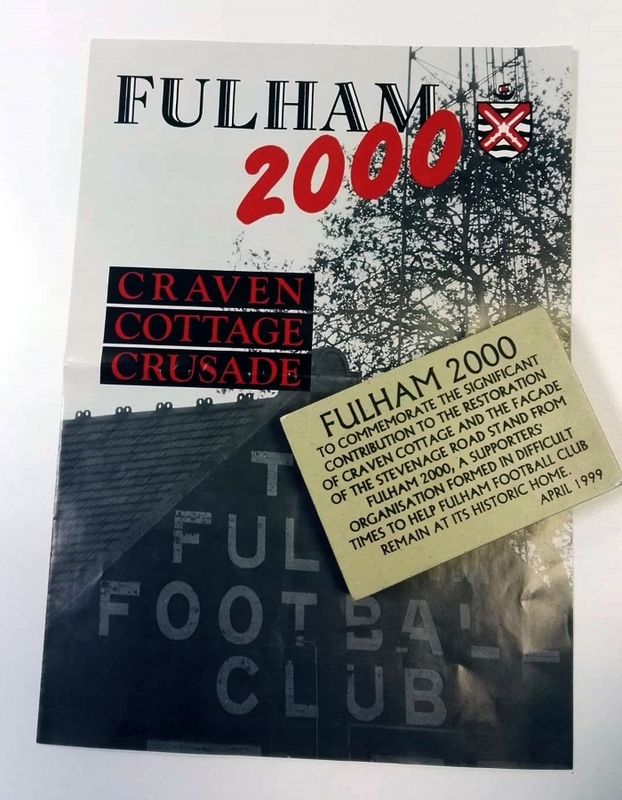 This item was produced to commemorate the Fulham 2000 organisation and the contribution it made in allowing the club to return to their home at Craven Cottage, rescuing it from property developers who had been looking to build homes on the site since the mid 1980′s. The supporters organisation helped towards the costs of restoring the Stevenage Road end of the ground. Craven Cottage is currently home to the only tree to be found inside a senior level football ground in the UK, at the Putney End of the stadium. The Fulham 2000 project was backed by club legend Johnny Haynes – and the accompanying A4 leaflet dates from February 1993, a few months before the club’s lease on the ground was due to expire.